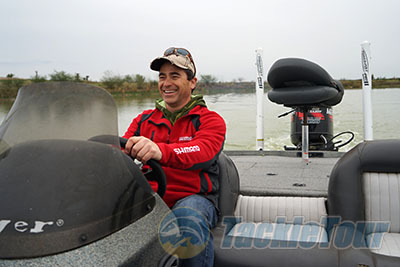 Introduction: When I got the call a few months back from the Shimano team to check out some new pre-release �gear� ahead of the Classic my interest was already peaked, but when we found out we were heading to Laredo Texas to fish the new products I knew I was in for an experience. 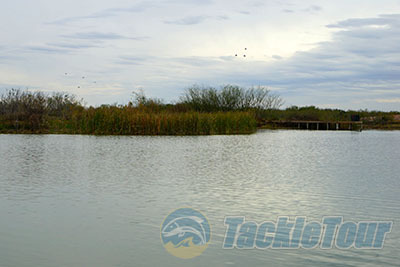 When most anglers think about heading to the Laredo area the first thing that comes to mind is probably heading to Lake Falcon which is just under an hour south in Zapata. As good as Falcon can be at times this was not the destination for our new product preview. 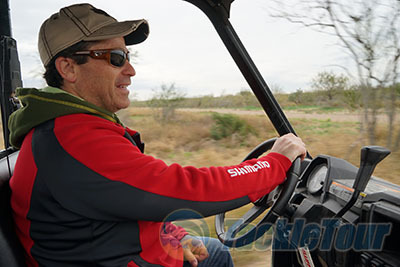 Instead Shimano had something else planned for this writer�s event and had partnered with La Perla Ranch, a family owned and operated property. La Perla Ranch is located on the banks of the Rio Grande River and is probably best known for delivering exceptional hunting experiences. With over five thousand private acres La Perla offers world class white-tailed deer, white winged dove, geese, bobwhite quail and duck hunting. One of the reasons that La Perla has such renowned hunting is because the owner, Dr. Gary Schwarz has created a special formula that grows big bucks. 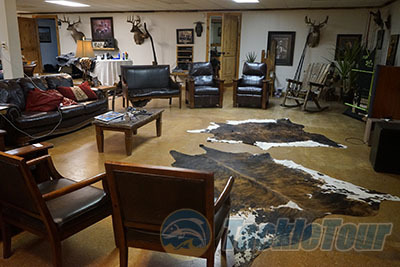 This formula combined with intense trophy management has resulted in a lot of successful hunts, and he had the vision to do the very same thing for anglers. 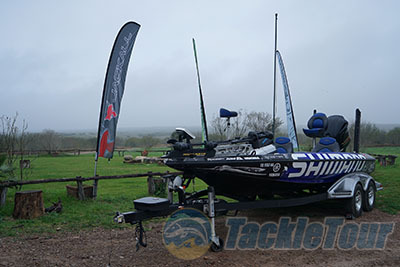 The team at La Perla painted a new idea of what trophy bass fishing should be all about, and the canvas they used was the land on the ranch itself. They created lakes from scratch which included cuts, points, channels, rockpiles, and even strategically placed submerged timber. But as we all know it is all about the fish, and the same formula that was applied to building his stock of trophy bucks is now being applied within the lakes on the property. These lakes are Lake La Perla (aka: the Big Lake), Waterworld, and a smaller lake directly next to the lodge. 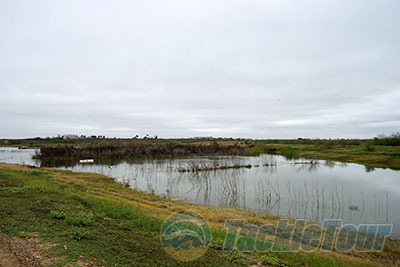 Dr. Schwartz�s dream is to make La Perla Ranch a top fishing destination in the country. The Lake is just now at the point where they are starting to allow a limited number of trips to the public. In fact this particular Shimano Writer�s Event was the very first time they have hosted a corporate group. The La Perla team knew the lake was ready for us as they have caught 12lbrs. on the lake and in 2014 a biologist shocked up a fish over 13lbs which the team affectionately named �Pearl.� I couldn�t wait to get my shot at Pearl and within minutes of arriving at the lake I was greeted by Chris Russell, Go to Market Senior Manager at Shimano, who offered me and the other writers two options. Option one, get some rest after our full day of travel to La Perla, or option 2, drop our luggage and hit the lake for an hour of fishing before sunset. 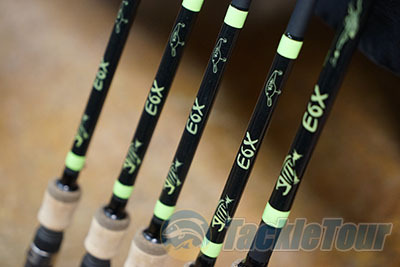 As you might have guessed it was a unanimous vote and we were rigging new G.Loomis E6X rods in minutes. La Perla Lake is only a few minutes from the lodge with the provided all-terrain vehicles, and in the span of under 15 minutes of arriving at the lodge I was already on the water with Chris.